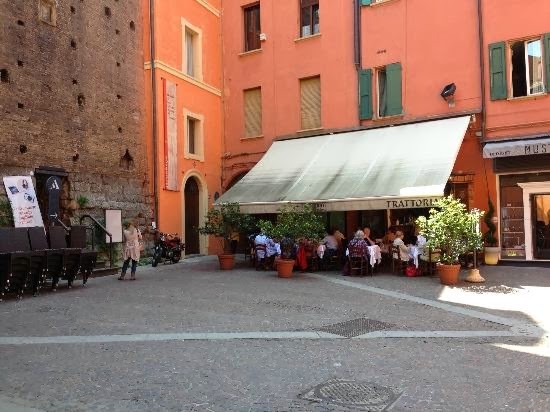 Tucked away in a tiny little piazzetta behind the main square is Trattoria La Corte Galluzzi. This is a perfect spot, in the shadow of a clock tower, to taste all of the culinary specialties for which Bologna is so famous. I scarfed down the trio of pasta, which is a sampling of three types of local pasta: tagliatelle bolognese, and two types of tortellini dressed in two different sauces. I highly recommend this tucked away trattoria as their local dishes are simple and delicious.